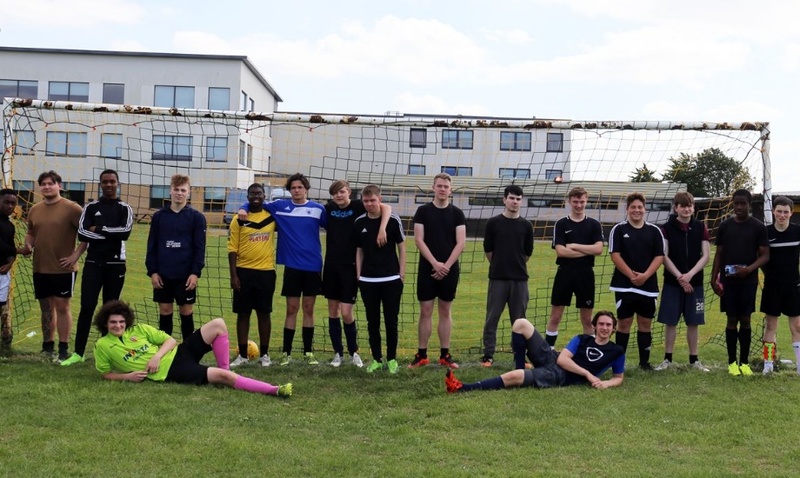 Our Sixth Form students recently played members of staff in a pulsating end to end charity football match to help raise money for Unicef. In a very competitive contest, the staff team won by a single goal, beating the Sixth Form team 5-4. “It was a very enjoyable game. Well done to the Sixth Form team, they played very well. They could have won the game and were definitely in the ascendancy towards the end. If it wasn’t for the Staff’s 2 early goals it could have been very different.” Mr Highfield – Teacher of Science. Year 12 student and spectator Kris Agblemegah commented “It was a close game and I think the Sixth Form team should have won, they had enough chances. “In the end our experience and superior tactical knowledge shone through on the day and made sure the best team won”. A slightly gloating Mr Fitten. “We were robbed!” exclaimed Sixth Form team captain Jake Garwood “The game didn’t start well for us, we went two nil down conceding both goals early on and in quick succession. We did fantastically well to turn the first half around and went in at half time leading 3-2. We played well in the second but, a few key refereeing decisions went against us. Their Keeper Miss Bailey made some phenomenal saves”. Commenting on the overall event itself Jake continued; “It was a really good experience to play against the teachers, it would be great for the school to have a charity match like this every year”. It was definitely a good experience, I had a blast whilst raising money for charity, so it was a win-win. Well done to Year 12 student Aidan Taverner for organising the match. Click here for photos of the game.